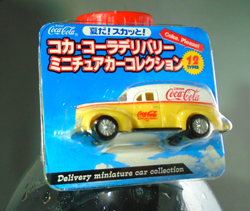 These Miniature Delivery Cars were introduced by Japan Coca-Cola Promotion in July 2016. 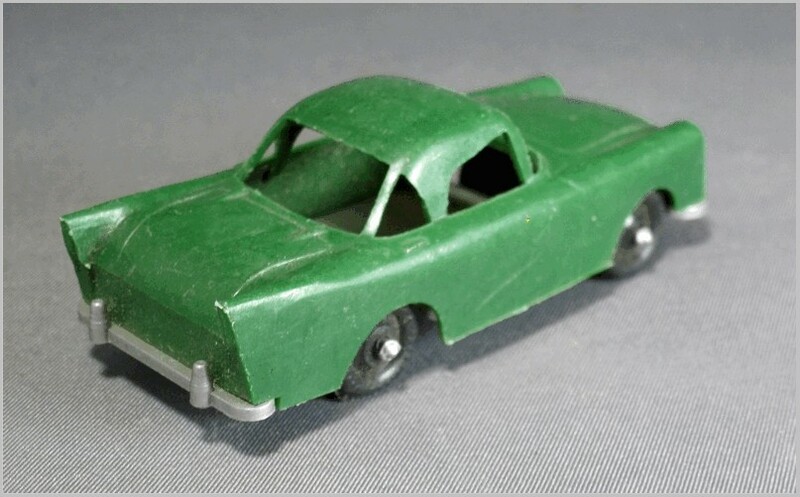 They were available as a free promotional item with purchase of a bottle of Coke or Diet Coke at local convenience stores and lasted until all these promo cars were gone, usually within one or two weeks. 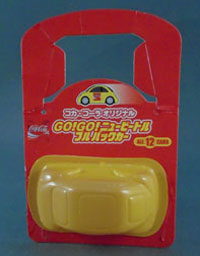 The promotional toy cars were, and still are, common within the Japanese beverage. The promotional campaigns start suddenly and are gone from the stores in a couple of weeks. 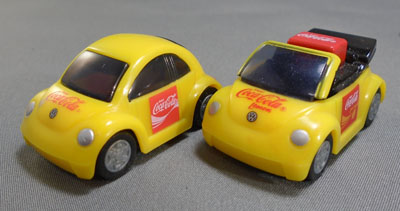 One of the past Coca-Cola promo items was four delivery cars with a strap for mobile phones. 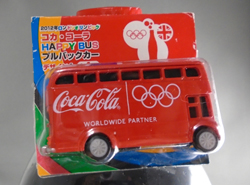 In recent years there were some more promo items with Coca-Cola logo. 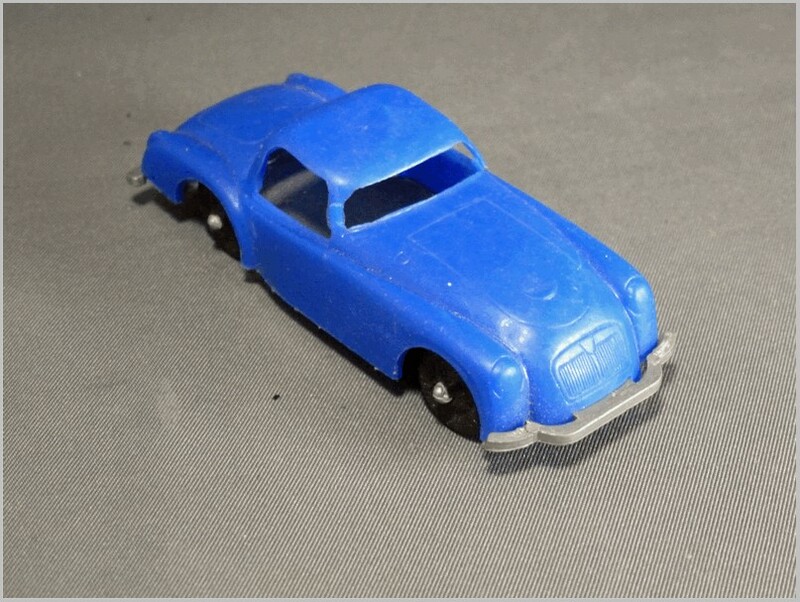 One of them was a set of 6 types of pull-back model cars with removable key rings. 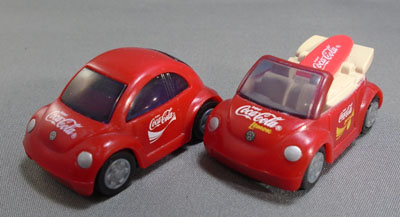 In 2006 at their 120 anniversary, the Coca-Cola Japan company introduced 24 types of key rings with assorted objects, six of them were models of Coca Cola Delivery Cars. 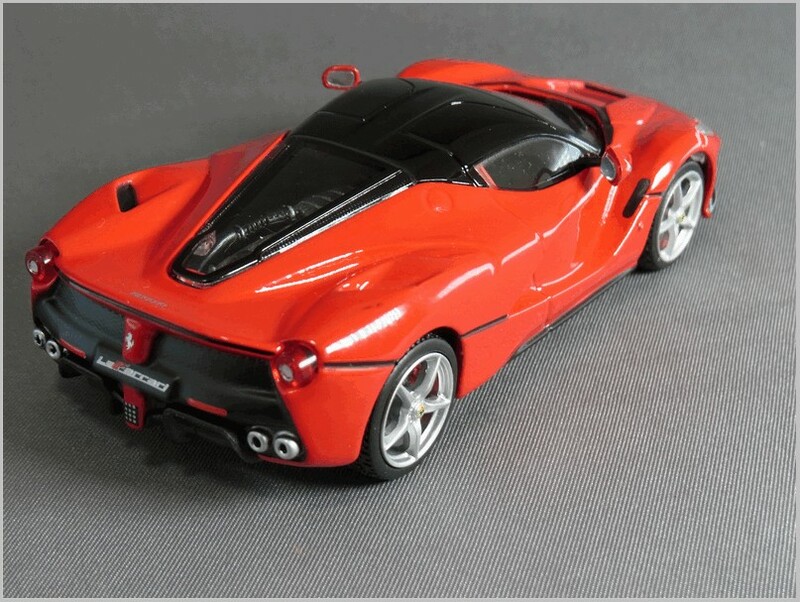 The Japanese promo cars in small scales, as well as die-cast or plastic model cars in larger scales, are rare finds for collectors outside of Japan. 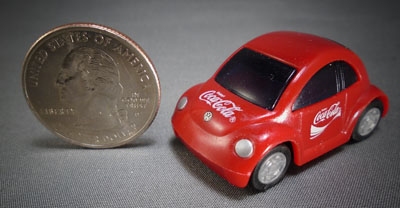 These miniature cars in Coca-Cola livery, as well as other promotional cars are not available on the open model car market in Japan, the USA, or rest of the world. They are extremely rare to find, especially in a complete sets, even on the eBay or at the swap meets. 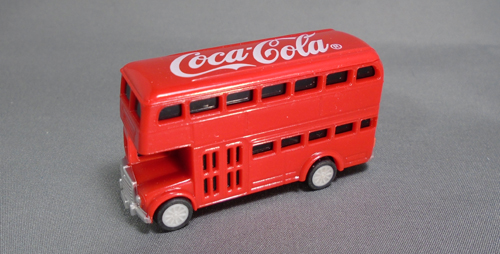 The title of the promotion was “Coca-Cola Delivery Miniature Car Collection” and consisted of 12 small, interesting model cars, vans, and trucks, from the year 1913 to the year 2003. 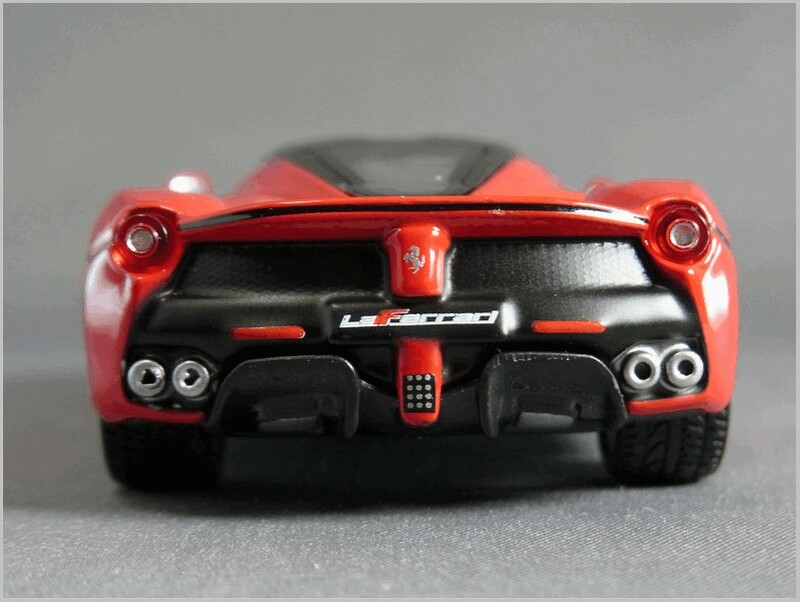 The models are made in China to no particular scales, but with a more details than one would expected in the models of this size. 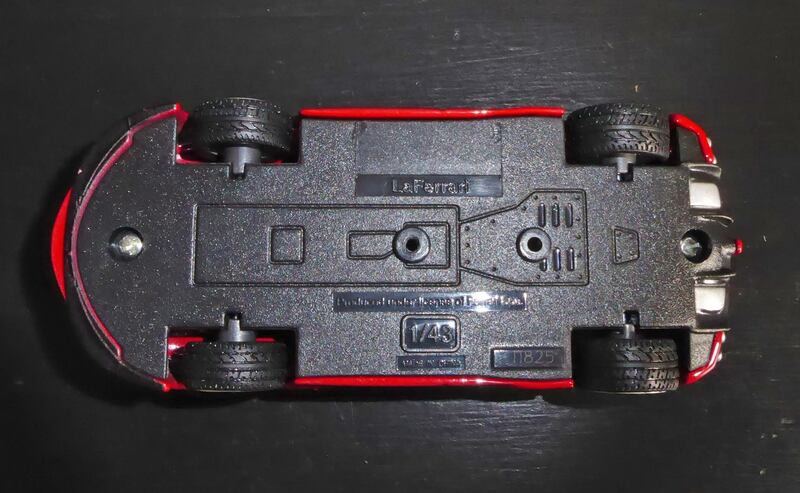 All models, including the wheels and tires, are made from ABS resin with exceptional details. Each car has clear windows, simulated, simplified interiors, and some of the models have a rows of the simulated Coca-Cola bottles. 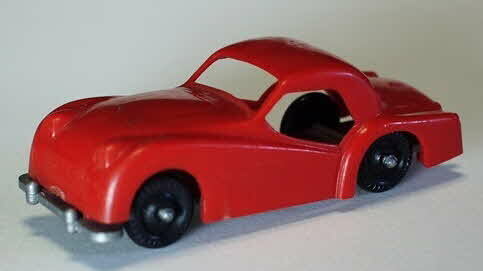 The very fine, clean and sharp tampo prints and thin stickers of the Coca-Cola corporate, promotional logos and slogans are superior to most of larger die-cast or plastic model cars. The model cars were: 1913 Ford Model T, 1920 Ford Model AA Truck, 1930 Ford Model A Sedan Delivery. Second Picture: 1938 Dodge Airflow Refrigerated Van, 1940 Ford Sedan Delivery Commercial Car, 1956 Ford F-100 Pickup. 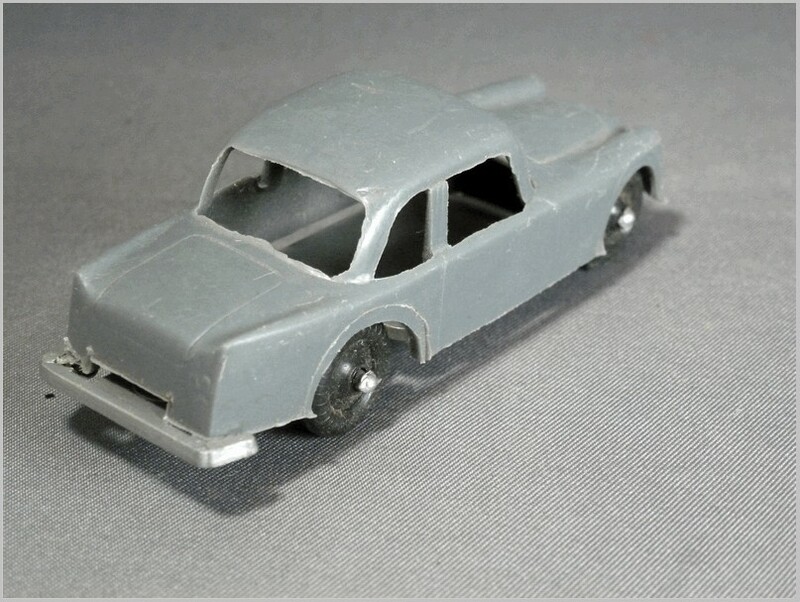 Third Picture: 1958 Nissan Coball, 1962 Daihatsu Midget, 1965 Dodge A-100. Mitsubishi Fuso Super Great, and 2003 Dodge Ram Quad Cab. 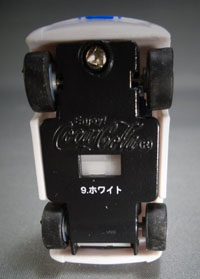 Twelve models of assorted delivery cars, vans, trucks in Coca-Cola liveries, were inserted into clear blisters (built to conform to the shape of each individual model) to be clearly seen when on display. 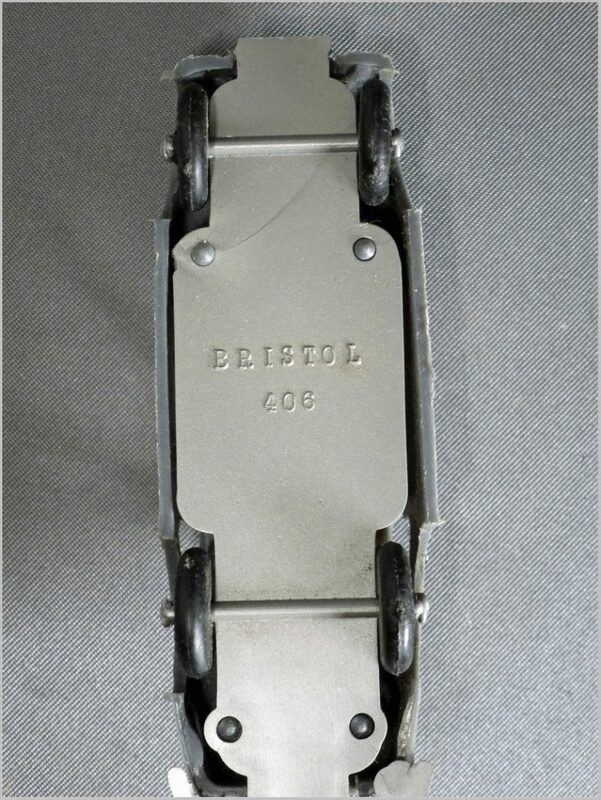 By folded tabs, the blisters were then attached to the front of the cards (identical for all 12 models). 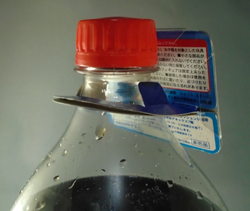 The card itself was then folded such that the ends formed a ring by which the card was attached to the neck of the Coke bottle to boost the promotional value of Coca-Cola Drinks. 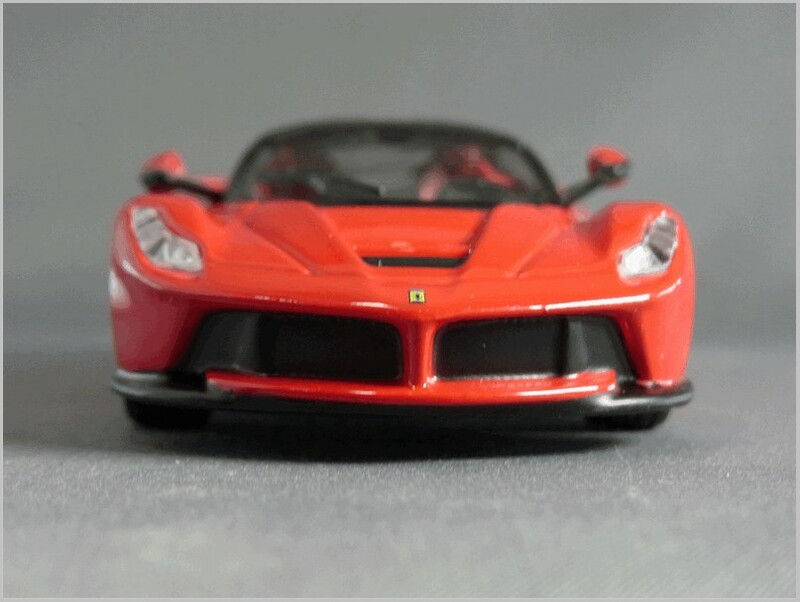 The blister card effectively communicated the name of the promotion and the product’s use and features, while attracting the consumer with a visible model car, blue sky with white clouds background and colourful graphics. Centered on top of the front side of the blister card is a line “It’s Summer! Be Refreshed!” with on each side of which is “Enjoy Coca-Cola” logo and the “Coke Please!“. line. 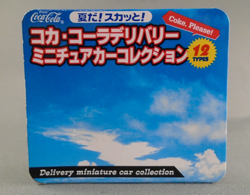 Under this is the name of the promotion: “Coca-Cola Delivery Miniature Car Collection” with a yellow starburst listing “12 TYPES“. 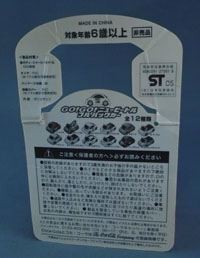 At the bottom of the blister card is line in English “Delivery miniature car collection” printed white on black back ground. 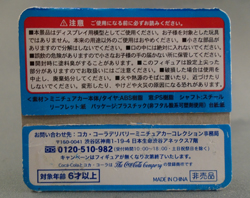 On the top of the back side of the card, in the red box, is a warning: “Caution < to parents> please be sure to read“. This is followed by 10 suggestions on how to safely handle the product. 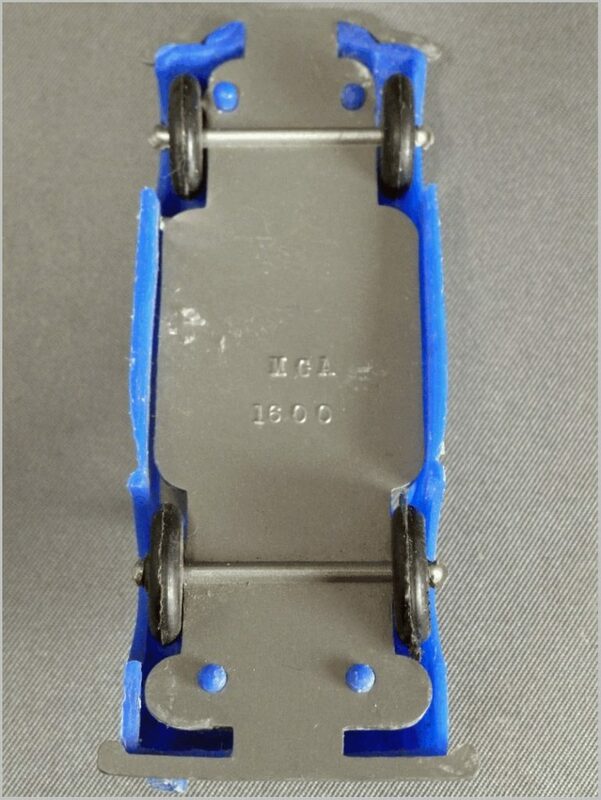 Additional information, (black on the blue background), lists the material from which the model is made. 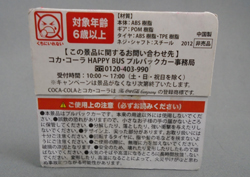 The bottom of the back side of the card, in the white box, lists how to reach the Coca-Cola Promotion Office and the days and hours of business, following by the statement that this product was produced under license from featured car manufacturer and Coca-Cola. The line at the bottom of the card says “For Age Over 6” followed by MADE IN CHINA and in a very small box “Not For Sale“. Folded and included into the card is a small catalog sheet. The front side (beside the “It’s Summer! 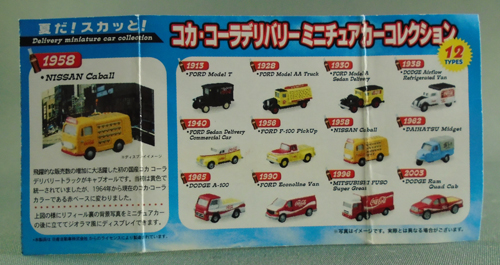 Be Refreshed!” “Delivery miniature car collection” and “Coca-Cola Delivery Miniature Car Collection” with a yellow starburst listing “12 TYPES“) the catalogue sheet lists all 12 cars in collection with year and marque description. 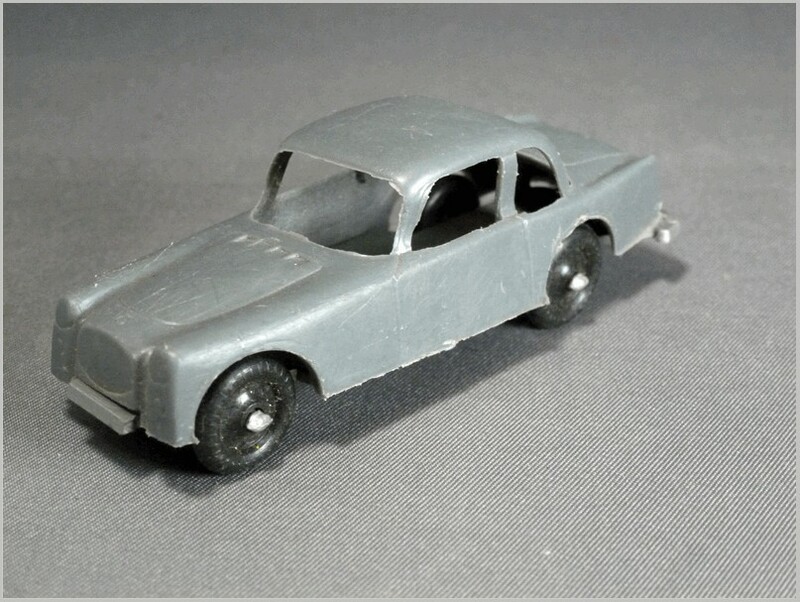 On the left side of the front page is a detailed description and picture of the featured car. 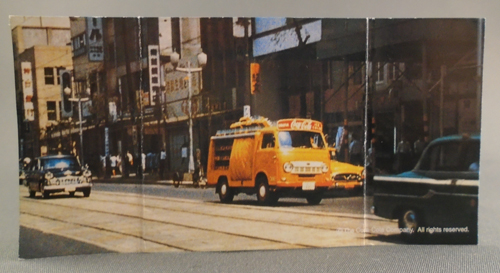 In the sheet shown, it’s the “1958 Nissan Coball” and under the picture of the truck is brief description of the role the Nissan Coball played in Coca-Cola delivery cars: “Coball is the first domestic Coca-Cola delivery truck that played an active role when sales dramatically increased“.The initial colour of the car was Yellow, but since 1964 it has changed to the Coca-Cola’s Red. 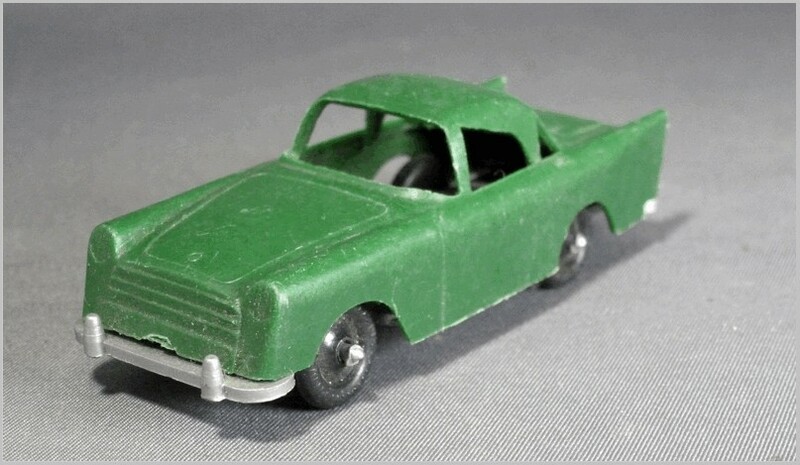 The miniature car can be displayed in a diorama setting by placing the catalogue sheet’s back side photo behind the car. 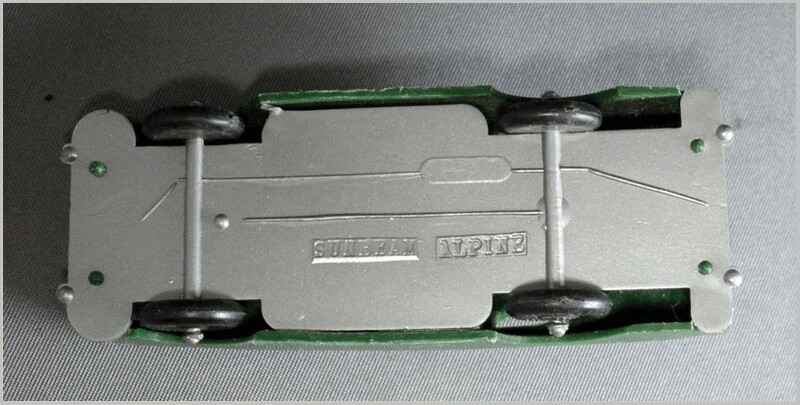 The last line says ” This product is made under license by Nissan Motor“. 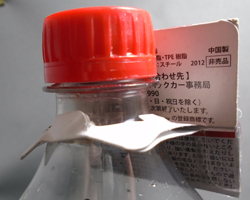 of a bottle of Coca-Cola drink from a local convenience stores. found on Ebay, swap meets, or model car magazine advertisements. 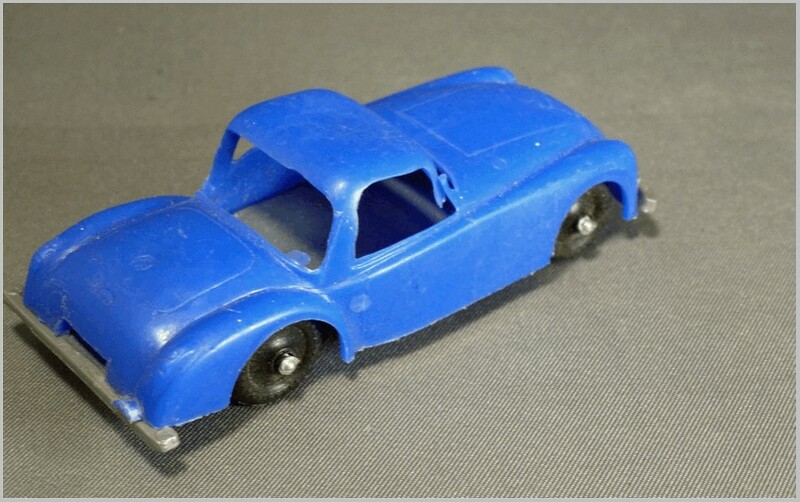 Beetle models made in very small, 1:100 scale, only 1-1/2 inch long. (See the comparison with the size of the US Quarter coin). 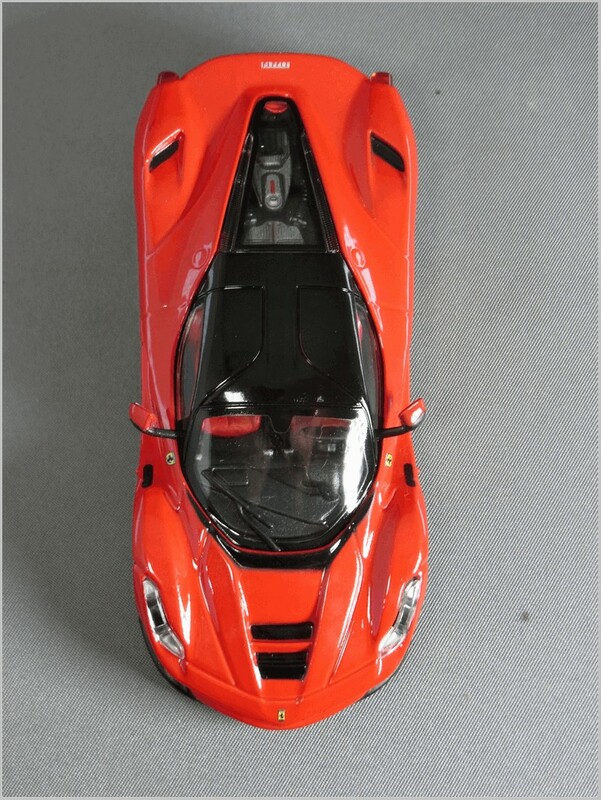 model cars, to say the least. Blue, 9. White, 10. White + Blue, 11. Black, 12. Gunmetal Blue. 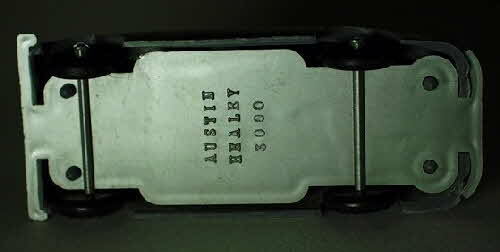 The colour of the car (written in Japanese) along with the serial number (1 to 12) was printed on the bottom of each car chassis. All models had blackout windows and windshields. 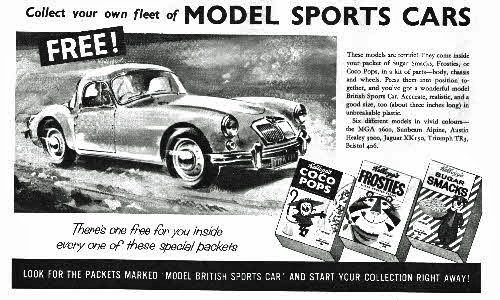 The convertible models had simulated, simplified four seat interiors with a right-hand steering wheel. (Contrary to US, Japan allows both, right-hand and left-hand drive on roads). One of the convertible models carried a Coca-Cola cooler, the other, a Coca-Cola surf-board. 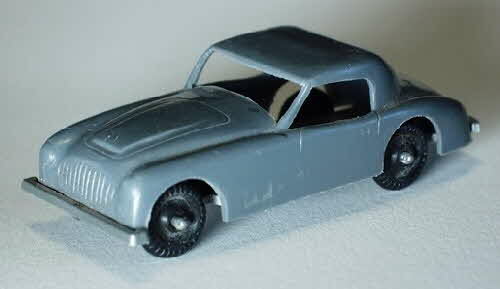 The hardtop models did not have detailed interiors. clearly readable. 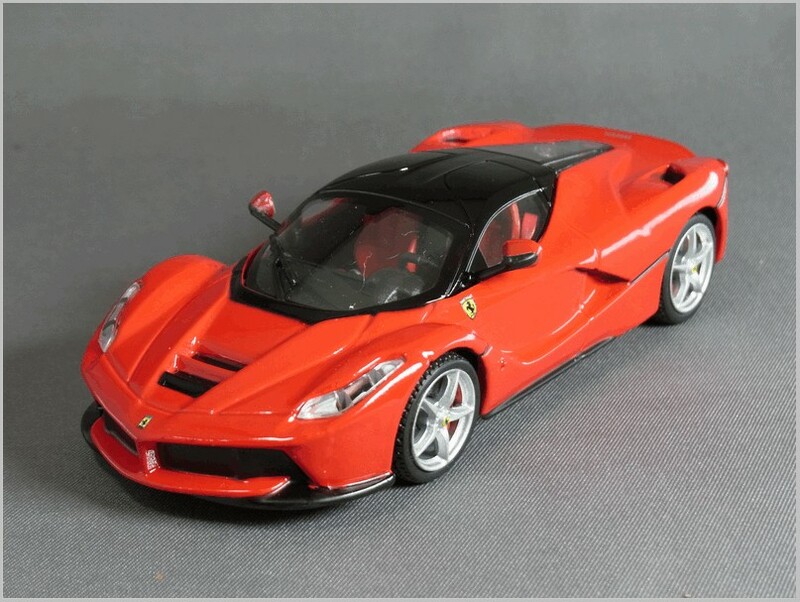 Realise that these models are only 1:100 scale! 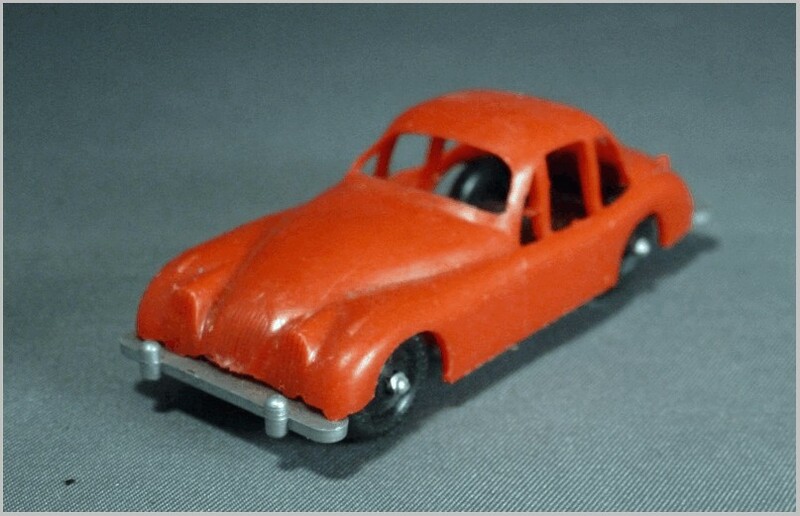 Tampo Print “Enjoy Coca-Cola”, and VW logo – 1/16″ in Diameter. 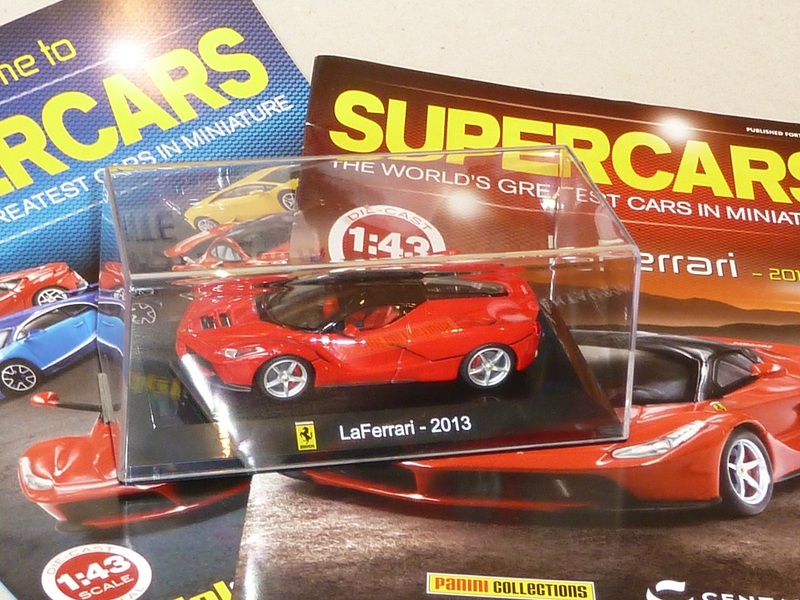 in yellow, opaque blisters (shaped like the hardtop Beetle), bonded to the colour front of cardboard cards (identical for all 12 cars) and inserted into plastic bags. The bags were then delivered to Convenience Stores participating in the Coca-Cola Promotion and were given away free with the purchase of a single bottle of Coca-Cola. On top of the front side of the card (red side), under the colour drawing of the VW Beetle, the white & red outlined letters indicate “Coca-Cola Original” and the yellow & red outlined letters state “Go! Go! 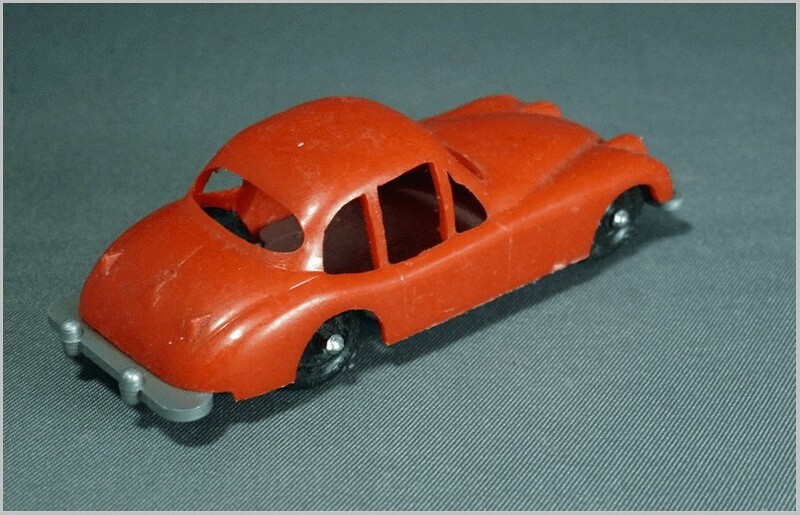 New Beetle Pull-Back Car“. 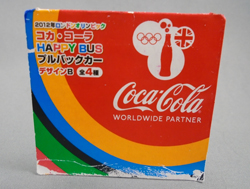 Each card had the “Enjoy Coca-Cola” and “ALL 12 CARS” logos printed on. Front of the Card. Back of the card. statement that this product was produced under agreement with Volkswagen Japan.